Richemont just announced its sales for the five months to end August 2012. Overall sales are still going strongly, though at a slower rate than before. 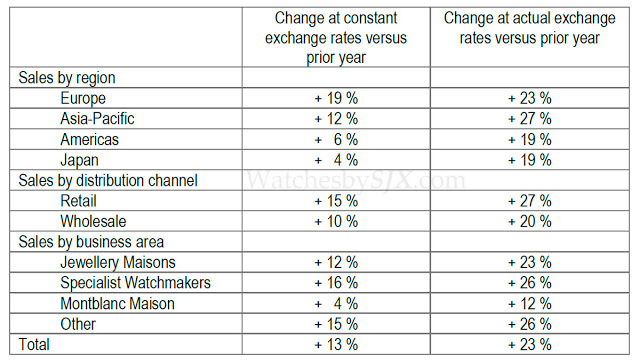 Europe is doing notably well, rising 19% at constant exchange rates.